As you would now probably know, I have a little soft spot for macarons. It’s a good thing I can’t make them at home because the only thing stopping me from wolfing 10 down at one go is their exhorbitant price! It’s a start of a new year so I think it’s only befitting that I kick things off with a post about macarons. Delicious bite-sized morsels that are so colorful- frivolous I know-but behind their cute appearance lies a very difficult art (to me at least), that has taken even masterful bakers a few failed attempts before they achieve that sheen on a smooth macaron shell and macaron feet. This art depends a lot on experience and a good mentor in my opinion because a lot of the steps ( especially the macaronage!) are all about the touch and feel of the batter. Everyone around me knows that I have this insane craziness over macarons ever since my school trip to France in 2006. 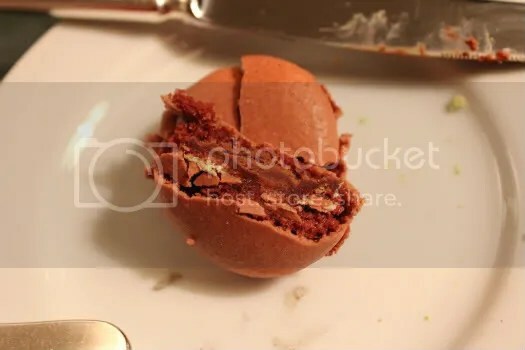 There I had a palm sized chocolate macaron at a petrol kiosk. I know, of all places right? But that moment of epiphany experienced was unforgettable and I’ve never looked back since. 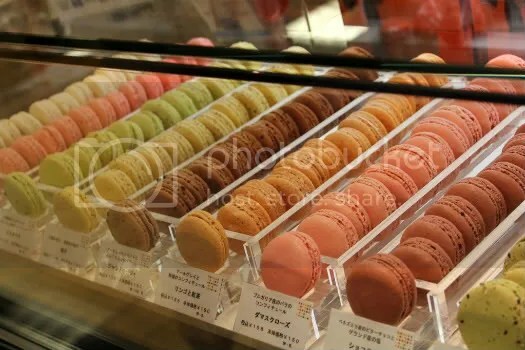 So as soon as I saw this macaron counter in the foodhall at Mitsukoshi Departmental Store (which is also the best foodhall I have ever visited in my entire life) in Fukuoka I kept lurking around hesitating. 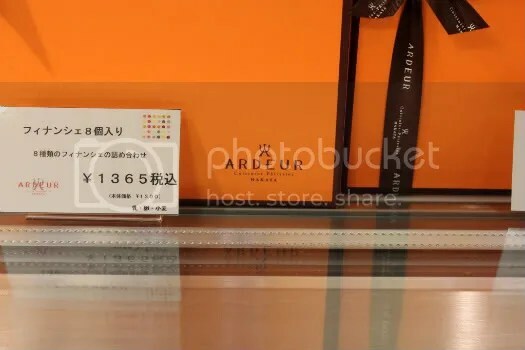 My last experience in Tokyo for macarons was not very favourable and it was supposedly produced by the kitchen of my favourite patissier of all time. 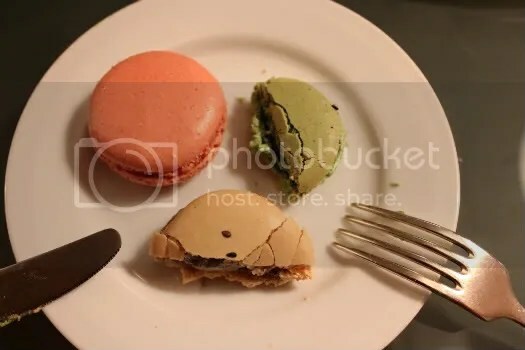 But I reasoned it was winter now, humidity is different, the macaron shells look good though it lacked the neat filling that all Pierre Herme macarons display. But dad was the one that tipped the scales by saying we should give it a try ( he is paying afterall :P). 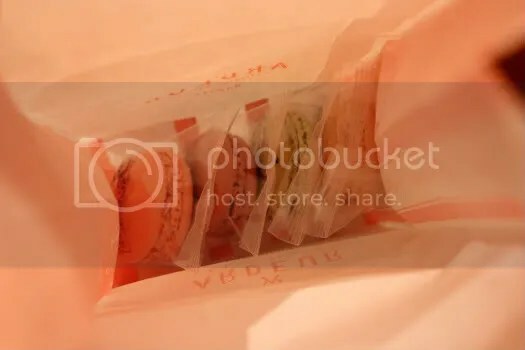 So four macarons went into the paper bag, all individually vacuum-packed making them easy to handle ( though perhaps not in the most environmentally friendly way). 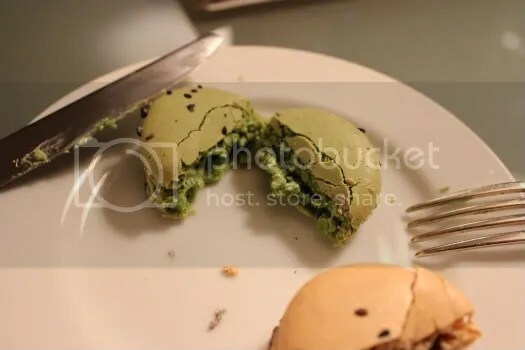 Matcha (background) and Black Sesame ( foreground) scored well in terms of flavour but not so in the delicate components of what makes a good macaron. Though they did have that crisp macaron shell, the meringue insides were too chewy leaving bits all over our teeth. 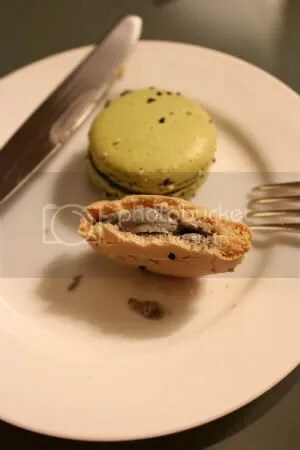 That is now how I like my macarons to be like though I know people who actually like it that way. To me a macaron should be a little chewy but not to the extent of sticky and instead should also be tender, moist and a little melt-in-the-mouth- a perfection that I have only tasted consistently from Pierre Herme’s shop in Paris. Maybe it’s a case of overcooked macaron shells, lack of aging or the type of filling used, I don’t know. Classic flavours are always a good barometer for macaron standards in a shop so I picked my ultimate favourite Rose. This one was actually almost perfect! It definitely received a thumbsup from dad and I. The meringue cake-like middle of the shell was not sticky at all and it went perfectly with the smooth dreamy rose petal buttercream filling. But it’s not exactly perfect because of its appearance. Then again, this point is just to nitpick 😉 I’m spoiled by Pierre Herme’s pretty fillings peeking out in between the macaron shells and his ingenious use of glitter, colored sugar, colorings and all the works! Lastly, yet another classic. Chocolate was strangely salty in the middle but I did like the strong bitter ganache that made the macaron a little chewier. However, I’m sure I can find better chocolate macarons than this from Canele for instance. Overall, pretty good macarons here with certain flavours ( Rose) edging out over others. A case of inconsistency perhaps but nonetheless, worth a buy if you do see them.